In its 25th edition, the 2019 Hawaii International Cup (HIC) is open to U.S. and international teams with divisions for boys & girls from U8 through U19. 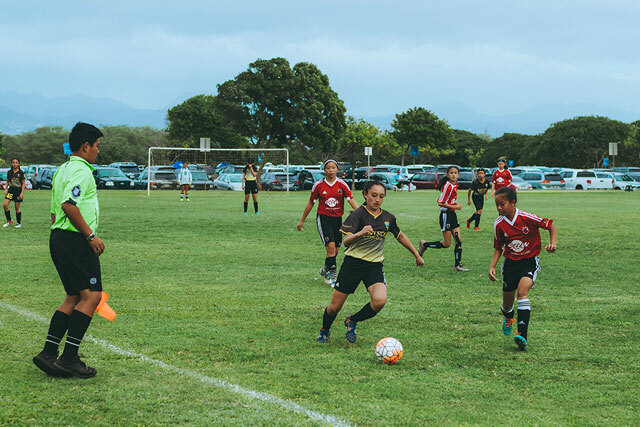 The HIC accommodates all levels of play and is the largest competitive youth soccer tournament in Hawaii. Come experience our amazing Hawaiian culture and warm hospitality, while competing in Hawaii's premiere international soccer tournament. The goal of the HIC tournament, is to grow the sport of soccer in Hawaii, while sharing our culture with the world. Help support the tournament, by booking with our preferred vendors for lodging, transportation and cultural experiences.